to prepare and file your NIW petition. Most competitors start at $5,000. on cases with a full refund over the last 20 years. In the unlikely event that the NIW petition is denied, then all attorney’s fees paid for the NIW petition will be refunded in full. 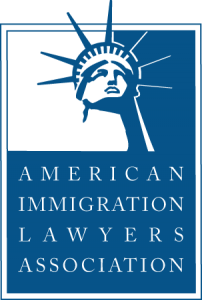 The National Interest Waiver (NIW) petition allows foreign nationals to bypass the cumbersome labor certification process which is ordinarily required to obtain permanent residence through the EB-2 employment-based permanent residence category. “I can never forget the help Tom gave me that day. I felt like he was my dear brother.” – Client Dr. S.I. Rupassara, describing how she called Thomas Arkell on his cell phone and he arranged for a towing company to pull her to safety when her car got stuck in a snowbank during a blizzard the night before her immigration appointment which Mr. Arkell then helped to reschedule. Thomas Arkell provides a personal touch that you will not find at other NIW firms. His unmatched professionalism and passion drives him to build relationships with clients and advocate for their success. Convenient Payment Plan We offer flexible no-interest payment plans in either four or nine installments. Should the client also desire an AOS application, the cost is $1100 for the primary applicant, $600 for spouse, and $300 for each child. No Hidden Fees Or Charges Clients may pay with a credit card without being charged any additional fees. 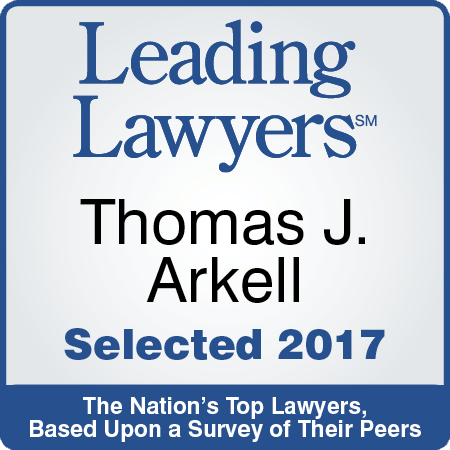 Deep Experience In The Field Senior Immigration Partner Thomas J. Arkell has over 20 years of immigration experience and was himself an F-1 student and permanent U.S. resident. Top Academic Credentials Mr. Arkell earned both his Undergraduate and Law Degrees from the University of Notre Dame. Backed By An Established Law Firm Dunn Law Firm was established in 1915, satisfying clients for over 100 years. How did I find out about Dunn Law (and Thomas Arkell)? I searched on google. Of the 50 or so Law firms I found and contacted, Thomas Arkell rose above all from the get go. No other attorney would even talk to me without consultation fees (I was not asking any case specific questions and they never asked to see whether I was a qualified candidate) except Thomas Arkell. To me, that was a litmus test. For Mr. Arkell, it was not about the money, it was about the process. From my experience working with Thomas Arkell, only a few of the testimonials come even close to describing the commitment of Dunn Law Firm to their clients. They made a hard/stressful/uncertain process seem like a walk in the park. They made me feel like the only person they had on their schedule every day. Their streamlined process is fool proof from start to finish. Even though I thought that I was very thorough during the application process on my side, I was amazed and very impressed at how many small errors were caught by Mr. Arkell’s team. I can attest that they do go through every single line of every document you provide. Mr. Arkell’s team has your back from start to finish. Now, one more thing: Everything was done electronically for me. I was able to scan and email all documents (including recommendation letters) which made it very convenient. The only thing I could not get away with scanning was the final document to be sent to the USCIS. This saved me a lot of time and hassle. I have already recommended a few friends to Mr. Arkell. They all have nothing but great things to say about him and his team. I, without hesitation and wholeheartedly, recommend Mr. Thomas Arkell for all of their immigration related services. You will never regret working with them. After I learned that I had only 10 business days to live in US on valid H1 status in 2014, I spoke to Thomas Arkell and discussed my situation. He immediately gave me an option to submit immigration petition under EB1- extraordinary ability through concurrent filing of I-140 and I-485. Tom worked with me day and night including weekends to file my petition in 9 days, that not only gave me a valid immigration status to live in the states but I also received EAD in two months and got I-140 approved in four months. Dunn Law firm also filed my successful immigration petition under NIW category. Tom possesses high knowledge in immigration laws and regulations and is always willing to speak over the phone in case of emergency. I absolutely enjoy working with them and like their genuine and timely services. I highly recommend Dunn Law Firm, LLP. I had a great experience with Attorney Arkell and his assistants at Dunn Law Firm. Arkell and his assistants were attentive and flexible and tried always their best to accommodate my busy and sometimes hectic schedule. Their website is well done and has given me the opportunity to work on my application from home or the office and to check its status in real time. I have referred at least 4 colleagues to their law firm and I will gladly continue to support them. I cannot thank Mr. Arkell and the Dunn Law Firm enough for their assistance and professionalism regarding the NIW cases. It was so relaxing and refreshing to be Mr. Arkell’s client during the NIW process. Mr. Arkell and his firm provide a very professional and highly organized service. They are very responsive and reachable as well. I had such a successful experience with them that I have introduced more than 20 people to Mr. Arkell for their NIW petitions. I am glad to say that all my friends came back with the same experience as mine. I am writing to share my great experience that I have had with the Dunn Law Firm. I received my green card in less than a year and I don’t think I could have done it without them. I have since referred my close friends who are also currently applying for the NIW. They are an extraordinary, very knowledgeable and professional team and they made the whole NIW process simple from my first consultation to the moment I received my green card. Thomas Arkell and his team were very easy to communicate with and answered all my queries promptly. Mr. Arkell is an exceptional immigration attorney, and I strongly recommend him and Dunn Law Firm for all NIW cases. He honestly assessed my case and meticulously guided me through entire process. Interestingly, my case was declined before I hired him. He was confident about my case and it was approved as he expected. His paralegals were very professional and courteous. I sincerely thank Dunn Law, Mr. Arkell and all staff members for their dedication and commitment to help me continue to live my dream. It was my extreme honor to get introduced to this law firm by one of my friends. They are very professional and organized and most importantly, very accessible. I mean you can hear from them whenever you need them or have any questions. I strongly recommend them to lots of my family members and friends and wish them more success in future. Mr. Arkell is a very experienced Immigration lawyer. He helped file my NIW petition with a Master’s degree being my most advanced level of degree. I was surprised at the amazing speed the process took (I-140 filed on the 24th of December and I had my green card in the mail on the 12th of May). All these were possible because of Mr. Arkell and his legal team’s expertise and wealth of experience in immigration law especially NIW petitions. I have already recommended him to three of my close friends who are also interested in securing Mr. Arkell’s services. I had the pleasure to work with Thomas Arkell when I was applying for the green card. During the whole process I was amazed about their level of professionalism, confidence on decisions and guidance in each step of the process. They were always available to discuss the requirements of the U.S. Citizenship and Immigration Services and their support was crucial to the success of my process. I am sure that I obtained the green card in a such short period of time due to the way they worked and due to their strong experience with cases like mine. I hope to work with them to assist me when I will apply for my citizenship.